Among the many unconvincing words spoken by Australia’s Davis Cup brethren at Melbourne Park on Tuesday, there were, significantly, also declarations from Nick Kyrgios and Thanasi Kokkinakis that, if selected, they would play in next month’s tie against Bosnia and Herzegovina under Lleyton Hewitt’s captaincy in Adelaide. That is academic in the case of Kokkinakis, whose fragile body forced him to retire with a pectoral muscle injury against Japan’s Taro Daniel, and whose career is therefore on hold yet again. But although Kyrgios was kidding no-one by suggesting he would struggle to make the cut on recent form, he says he will be at Memorial Drive if chosen. 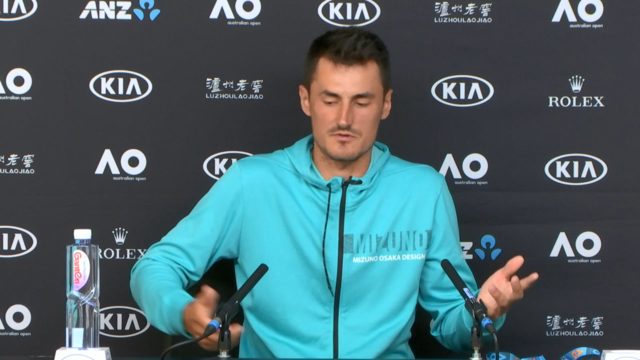 Tellingly, neither seemed at all concerned that Bernard Tomic had presumed to speak on their behalf by declaring that Kyrgios and Kokkinakis no longer want to play Davis Cup under Hewitt. They apparently would/will. WWOS/Nine question to Kokkinakis: Hypothetically, if you were fit and you were picked for Davis Cup, would you play? Question to Kyrgios, who had already declared his availability in the media conference prior: Do you support Lleyton as Davis Cup captain? A: “Yeah, sure. I don’t see anything wrong with it.’’ Which is hardly a glowing endorsement on a subject where much more is still to be played out. As for the disquiet over Hewitt’s self-selection in doubles for September’s qualifying tie last September in Austria, Kyrgios - who absented himself from duty on that weekend on Graz clay - expressed no surprise at the contentious decision. “He’s said he’s going to retire a lot of times and he’s come back and played, so I think he backs himself still to play doubles,’’ said Kyrgios. Whether that is a good thing is the contentious bit. Clearly, much like the duck that glides serenely on the surface while paddling furiously underneath, there is plenty going on behind the scenes in the wake of Tomic’s damning comments. No surprise, though, about the post-loss timing of the Queenslander's remarks, for we’ve been here a few times before. “It’s kind of Bernie being Bernie,’’ was Hewitt’s message in his only interview of the day - with Nine’s Cameron Williams - and yet the wild suggestions of financial impropriety and inaccurate claims about player management arrangements undermined the parts of Tomic’s message that made some sense. 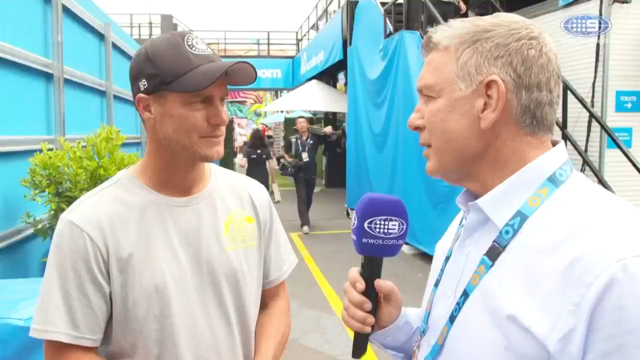 No-one doubts Hewitt’s passion, or his work ethic, but questions are being asked about his power and his choices, who exactly is running the men’s side of the game in Australia and whether that is being done for the benefit of those beyond a favoured few. Clearly, Tomic and Hewitt have history. But the future of Australian men’s tennis is not just in Kyrgios and Kokkinakis but special teenagers such as Alex De Minaur and Alexei Popyrin. Australia is the grand slam nation suffering the longest drought since celebrating a home-grown winner (and a cheerio to Mark Edmondson and Chris O’Neil from a long-ago and vastly different era). Which only emphasises the importance of using what water we have to get the ducks in a row rather than wasting time and energy thrashing about underneath.